One of the key factors boosting the growth of the global medical foods market is the rising awareness among the people regarding medical foods. The rising focus of the regulatory bodies on the manufacturing and labelling of medical foods will also be a key factor fuelling the growth of the medical foods market. 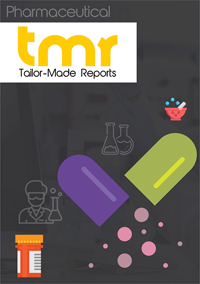 In addition to this, the high focus by manufacturers on developing disease-specific formulas effective patient's nutrition or diet care are also anticipated to result in the growth of the global medical foods market. The report also enlists various factors which are anticipated to pose a challenge for the growth of the market. The current trends in the market and those that are anticipated to shape the future of the market have been discussed in detail in the report. By product, the medical food market is segmented into powder, pill, and others. Of these the powder segment has held a key share in the market as many medical food products are manufactured in powdered form and consumed in a semi solid or liquid form. By application, the global medical foods market is segmented into depression, diabetic neuropathy, ADHD, Alzheimer's disease, and nutritional deficiency. Of these, diabetic neuropathy has been accounting for key shares within the market. The risk of neuropathy is boosted with age, diet changes, and unhealthy lifestyle. In the years to come, it is anticipated that the nutritional deficiencies segment will develop a strong CAGR, as patients being treated for ADHD, autoimmune diseases, and cancer are likely to have high nutritional requirements, which is subsequently anticipated to boost the demand for medical foods. The global medical foods market has become increasingly important in the healthcare sector in recent years due to the rising awareness about its importance in complementing the treatment. Medical food comprises diets designed specifically to overcome the nutritional deficiencies caused by some diseases or to fulfill the specific dietary needs in the management of some diseases. The global medical foods market is likely to receive steady support from the healthcare sector in the coming years due to the rising prevalence of diseases such as Alzheimer’s among the elderly and ADHD among children, as these diseases are among the prime diseases that necessitate specific diet plans. The global medical foods market is likely to witness a steady shift towards pills and away from powders. While powders can be easily mixed with various types of food, many patients don’t enjoy their taste. This has led to pills becoming a preferred mode of delivery for many, and are thus likely to rise in demand in the global medical foods market in the coming years. Apart from leading diseases such as diabetic neuropathy and Alzheimer’s, other diseases such as phenylketonuria (PKU) are also likely to come under the ambit of the medical food market in the coming years. In April 2017, PKU Sphere, a new medical food for patients of PKU was launched. PKU Sphere is claimed to contain a balanced mix of amino acids and glycomacropeptide, a protein essential for patients of PKU, who can’t digest phenylalanine and have to fulfill their protein requirements in alternate ways.